Plumbing issues occur unexpectedly. It’s a headache dealing with plumbing emergencies, that’s why it’s best leaving the challenging work to the experts. Contact Fast Plumbers through 1300 481 182 and make your home comfortable again. 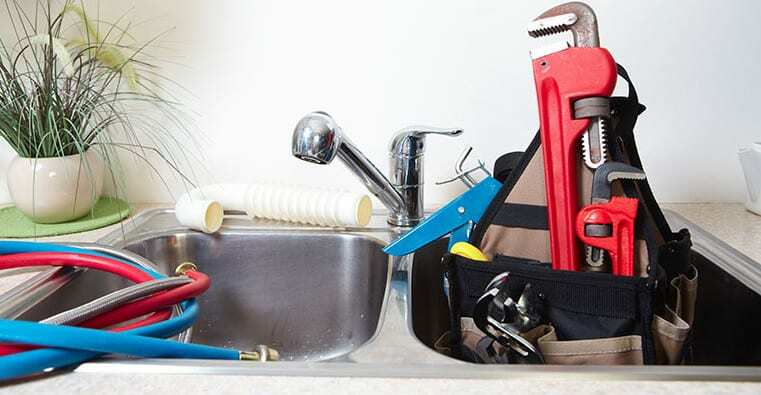 Fast Plumbers, a locally owned Australian plumbing company, is dedicated to offering commercial and residential plumbing services. We solve all kinds of plumbing issues, be it minor inconveniences or pressing demands. We have more than 10 years of experience in plumbing, and we do the job right during the first visit. Leaving plumbing issues unattended will only make your home uncomfortable. Thus, let’s assist you in making your home comfortable again right away. We know the kind of damage that plumbing issues can cause. That’s why we care about your well being and safety. Since the day we opened shop, we have maintained reliability and great customer service. We’ll do everything possible to make you have an enjoyable and seamless experience when working with our plumbers from the start of a plumbing project to its completion. You’ll sleep in peace knowing that you’re working with plumbers you can always trust in making your home safe and comfortable. Even when you have plumbing emergencies late in the night, we will come to assist you in solving the problem right away. We offer a multitude of plumbing services, including all types of installations and repairs. No matter how small or big the job might be, we will do it professionally every time. Thus, we’ll ensure that your home remains comfortable and safe throughout the year. Whether you want a comprehensive replacement of your sewer line, drain cleaning, quick fixture repairs, or any other kind of plumbing service, we have all the right solutions for any plumbing needs. We always arrive at the work site soonest possible to solve the plumbing problem within the shortest time possible, regardless of the time of the day. Plumbing is an industry that requires a lot of dedication and hard work. We begin every day with excitement to work since it’s our passion to serve you. We’re always grateful whenever we assist our customers. Moreover, we’re proud of the kind of work we do. This is clearly shown in the multiple trust awards we receive. Thus, you can trust in us and be confident about the kind of services we offer. After all, we’re rated at the top on Google. You can always rely on our team of plumbers for customer satisfaction and professional services. We’re fully insured and licensed. Moreover, we do our work according to the Australian plumbing codes. Work with us, the plumbers who care, to enjoy friendly and personal plumbing services. Contact us today through 1300 481 182 to book for an appointment.